Finding the best headphones for classical music isn't always straightforward. Modern, bass ridden commercial models rarely fit the bill for the high-definition required for classical music. Ideally, you should be looking for a set of headphones that will deliver the subtleties of classical music straight to your ears while remaining as organic as possible. Today we have selected some models that will bring you that exact experience - let's go over them in detail! Here's a summary of them below for anyone in a rush. **There is more information below, but feel free to check out the customer reviews on Amazon for a second opinion. To fully enjoy classical music, your headphones need to meet a few criteria. The truth is, headphones come in different configurations and styles that lend themselves to different genres of music. Each style of transducers has a very defined capability when it comes to reproducing tone. This is crucial to understand when it comes to selecting headphones that are suited for classical music. First, let's cover off a few basic things you should be considering. All headphone designs come in one of two configurations. Closed back headphones feature a completely enclosed transducer which forces all of the sound directly into your ear. This design is known for its passive noise reduction and gives you the illusion of the music being played inside your head. Alternatively, we have open back headphones. The speaker housing on open backed headphones is perforated in some way - allowing air and sound to leak to the outside world. The impact this design has on your perception of music is very different compared to closed back headphones. You could say that it makes the whole experience more organic and natural. So which one of these is better for classical music? Even though it comes down to personal preference, open back headphones are the more popular choice. 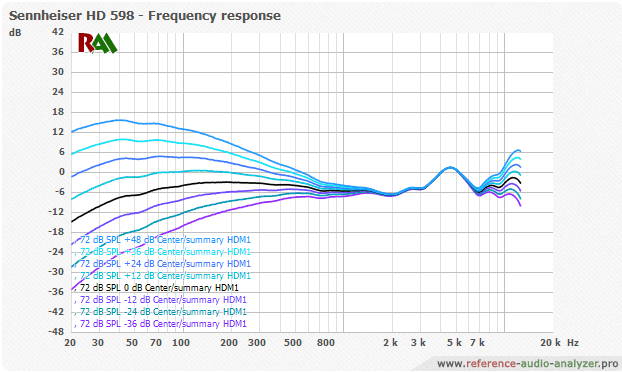 One of the main reasons has to due with frequency distortion. Closed back headphones trap the sound waves between the ear and body of the headphone. As these sound waves don't have an escape outlet they remain inside the headphone chamber. This leads to interference with incoming sound waves. This interference degrades the quality of the audio reaching your ear. This is the main reason why professional mixing engineers tend to prefer open backed headphones during mixing sessions - their clarity is unrivaled. With that being said, if you aren't a picky audiophile with trained ears, you probably won't notice a huge difference between closed back and open backed headphones. Classical music is full of subtle and not so subtle details. It's a mixture of numerous instruments, all of which tell a story of their own. 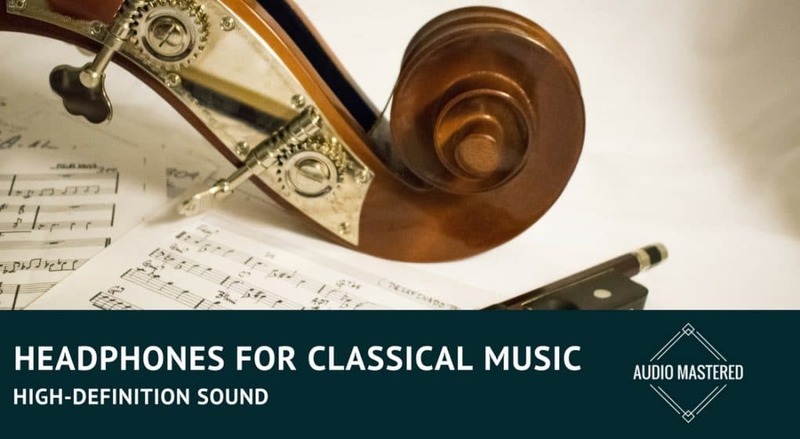 In order to fully appreciate a classical piece, you will need headphones that are capable of providing the necessary definition, clarity, and frequency response. Your average bass oriented models just won't cut it here. Instead, we want a set with good mid-range as well lot of definition in the treble. Most of the music we hear is firmly planted in the mid-range. This is usually defined as from about 110 Hz to about 3,500 Hz. 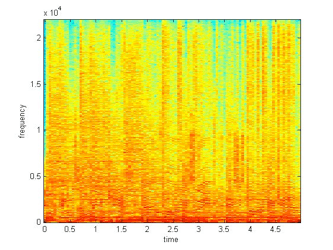 If you’re having trouble getting an idea of what frequencies like that sound like, a piano’s Middle C is around 261.6 Hz, whereas the range of a cello goes up to about 1,000 Hz (1 kHz) and a violin’s top note is about 3,500 Hz. Even though there are parts of classical music that require a decent low end response, this genre of music doesn't generally dig too deep into bass frequencies. 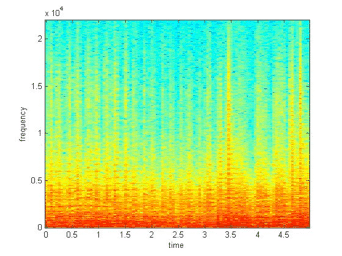 Have a look at the frequency spectrum of a sampling of classical music vs. pop music. Notice the abundance of high frequencies in pop music compared to the mid-heavy classical. The takeaway here is different headphones will be well suited for different genres. Generally, the needed range for Rock music is about 60 Hz to 8,000 Hz, with Classical ranging from 40 to 12,000 Hz. The dynamic range of each genre is another area where the kind of music makes a difference in your headphone selection. Simply put, dynamic range is the difference between the loudest and softest passages. Percussive instruments – piano, drums, for example – have a very wide dynamic range. String instruments – violins, guitars, etc. – have a much narrower dynamic range. Every fan of classical music will tell you that the duration of an average classical piece is much longer than the typical 3 minute format we are used to. Since wearing headphones for an extended period of time is almost a requirement, comfort plays a very important role in selecting the right pair of headphones. Larger, well padded ear pads are preferred, as well as a quality headband. Ideally, you want velour ear pads. The headphones should be lightweight, and with enough pressure to sit firmly on your head without applying too much pressure. Granted, it is going to be hard to judge the comfort of the headphone until you've tried it on. However, you can still get a general idea by reading a few of the Amazon reviews. I've included the Freeboss just incase someone isn't looking to spend over $150 on a set of new cans. These headphones do meet a lot of the criteria we set out above. For starters, they use soft earpads - something you'll appreciate after a few hours of using them. They are semi-open - which isn't ideal, but it will still give you a somewhat airy listening experience. The frequency range and definition can't compete the with other headphones on the list, but what do you expect at this price point? Overall, not a bad budget option for someone looking for classical music headphones. Over-ear design provides comfort and outstanding reduction of external noises. Dynamic true-to-life sound with large 53mm large-aperture drivers. While the ATH-M30x might not be able to compete with the more premium options on my list, they still pack a lot of weight for the price. I wanted to include a few sets of headphones under $100. Unfortunately, it's difficult to actually find a set of headphones in this price range with a flat frequency response. Those who are familiar with the ATH-M30x may note that there is a significant dip in the treble (particularly around 5K). However, they do have a well balanced midrange with a pronounced low-end. I have a pair of the ATH-M50x and can wear them for hours, the M30x will be the same. Overall, a great pair due to their midrange and definition. Sennheiser is a brand that holds a lot of authority in the audio world. Their HD 598 are by far one of the best headphones for enjoying classical music. This is an open back set, which is only appropriate considering that Sennheiser invented the open back design. First thing that needs to be said about the HD 598 is just how comfortable they are. Thick, ergonomic padding on the headband as well as ear cups makes them a perfect choice for longer listening sessions. The tonal profile we are dealing with here is mostly focused on mid range and trebles. Bass is pretty decent but one minute of use will make it perfectly clear that Sennheiser focused very little on the lower end of the frequency range. You can read my comparison of the HD 598s and the ATH-M50x here. The level of definition makes the HD 598 a perfect choice for our applications. With the HD 598 being the more balanced solution in terms of bang for the buck, HD 650 is the opposite. These headphones feature a very similar profile as the previous model we have looked at, but they tackle the audio with much more complexity. The level of detail is simply impressive. You get incredible clarity in the trebles with a lot of beef in the mid range. One great benefit to these headphones is the bass isn't overpowering. Many consumer headphones artificially raise the bass because that's what sells. The 650s, on the other hand, provide just the right amount of bass so the energy in the music is still present. 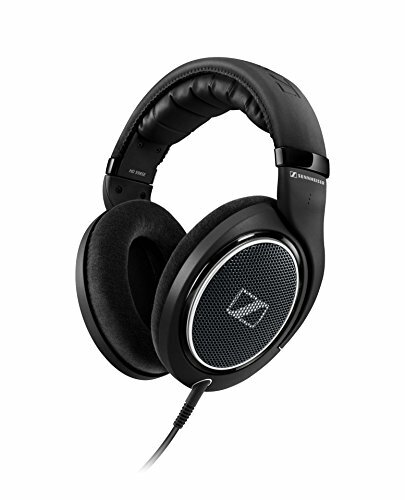 In terms of comfort, Sennheiser HD 650 are near the very top of what is available. You can easily wear these headphones for hours without experiencing any fatigue. To put things into simple terms, HD 650 does everything HD 598 does, only many times better. While HiFiMan is no where nearly as popular as Sennheiser, their headphones are definitely comparable in both quality and performance. HE-500 model brings on a rather ergonomic open back design that makes these very comfortable. However, their balanced performance is what truly makes them a great choice for classical music. We are looking at a set of drivers whose dynamic range is just out of this world. Heavy on the mids, clinical in trebles and balanced in the lows, these headphones bring superb audio. DT 770 PRO from Beyerdynamic are a relatively affordable closed back headphones that pack a mean punch. Defined by their balanced mids and responsive low end, these headphones are a solid choice for those who are on a budget. In terms of comfort, you are looking at a tight fit with enough padding everywhere to eliminate user fatigue. 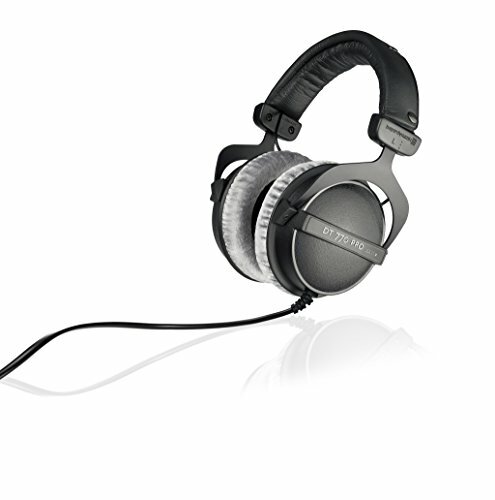 Beyerdynamic DT 770 PRO is a great choice for any fan of classical music. 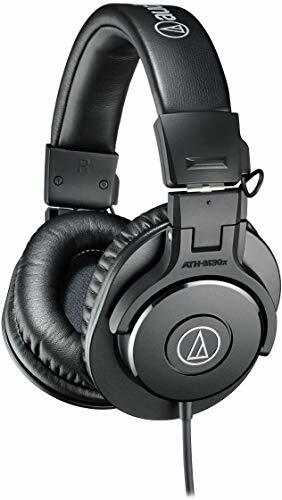 Audio-Technica's ATH-M series headphones are considered to be the best bang for the buck choice no matter which model you're look at. Their ATH-M50x were designed as studio monitors, with a lat output that doesn't distort the music in any way. As such, they are a great choice for listening to classical music. Comfortable, reliable and durable Audio-Technica ATH-M50x offers the best performance for the money. The models listed above are by far some of the best headphones for classical music you can find on the market. We have included both open and closed back designs, leaving you to make a choice that fits your preferences. In terms of quality, any of these models will give you a great experience. I do have one question though. 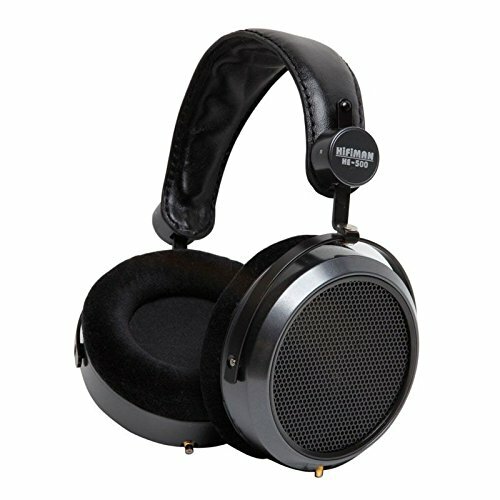 You review the ATH-M30x but not the 50x, of which you have a pair. There is a lot of conflicting information about whether the increased bass makes the 50x suitable for classical or not. My question is, are the M40x and M50x an upgrade from the M30x for classical music, specifically orchestral? What would be an upgrade in closed back headphones from the M30x? 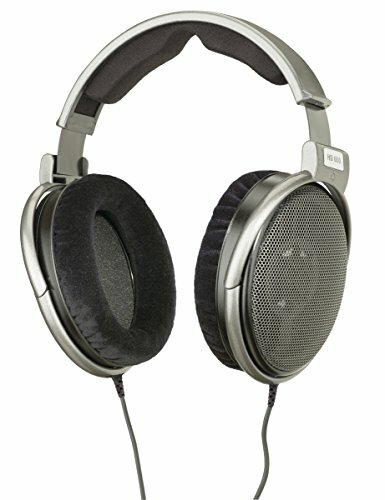 I was sure to find Sennheiser HD-800 S on a list of headphones for classical music. But no. How come? 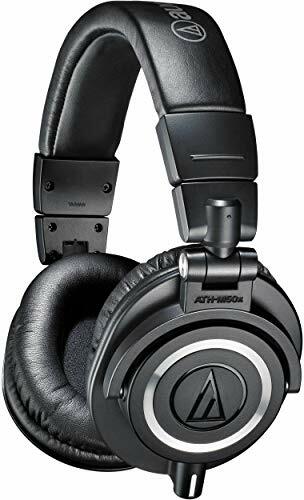 Maybe one day I will be able to afford a pair of the HD-800 S. As such, I don’t have a lot of experience with these headphones. 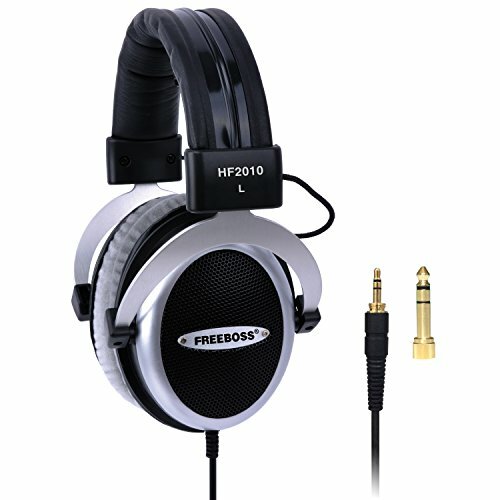 However, I’m planning on updating this post soon and I will definitely add the HD-800s as they are legendary. Thanks for taking the time to leave a comment, it’s a great suggestion!